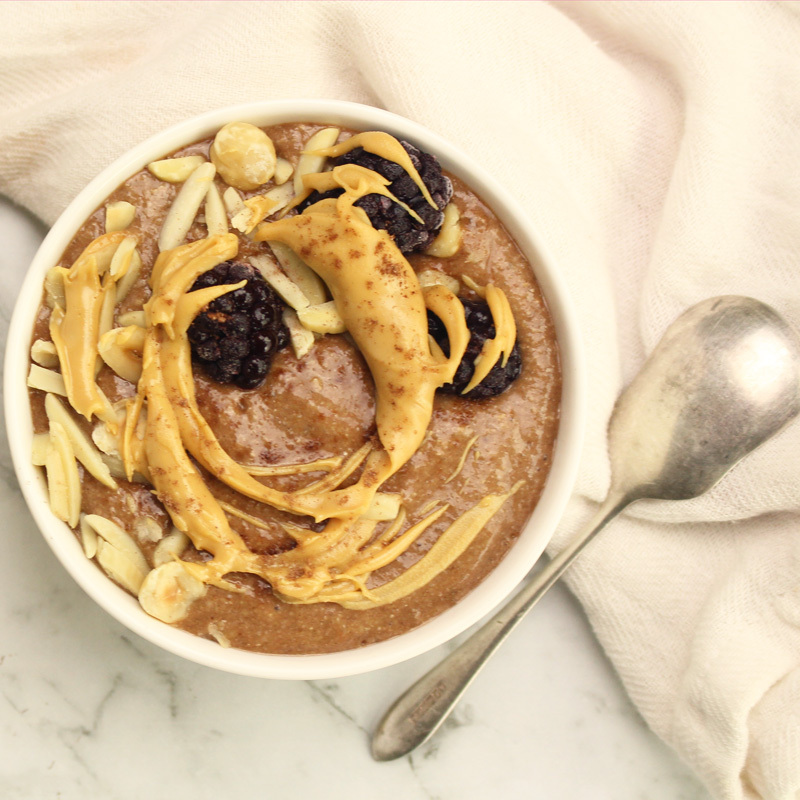 Chocolate and peanut butter – one of the best combinations out there perfectly combined in one Choc & PB smoothie bowl. It’s not only nutritious from being packed with superfoods like flaxseeds and chia seeds, it’s also a very delicious treat! Now you don’t wanna miss out on this dairy-free, gluten-free, refined sugar-free, and vegan bowl, right? Combine the bananas, Du Chocolat, milk, flaxseeds, chia seeds and cashews in a blender and pulse until smooth. Garnish with nuts, fruit, drizzled peanut butter and extra Du Chocolat.